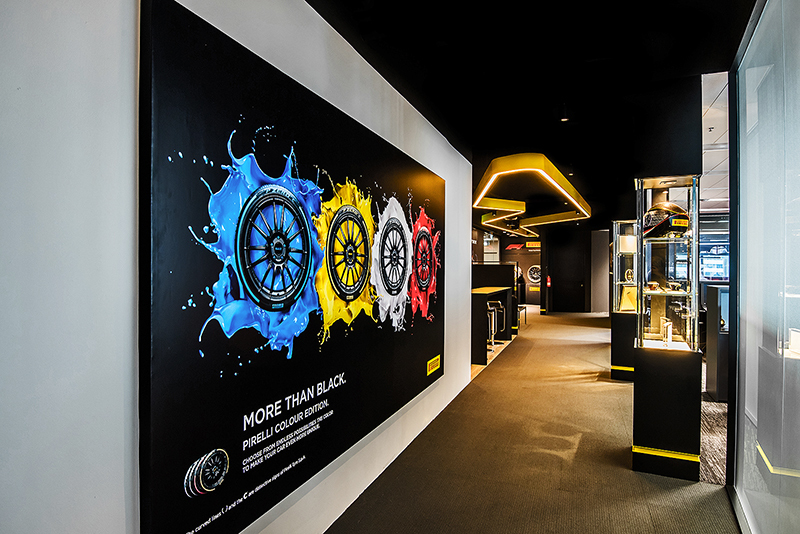 Established in Singapore in 1995, Pirelli has grown from strength to strength. 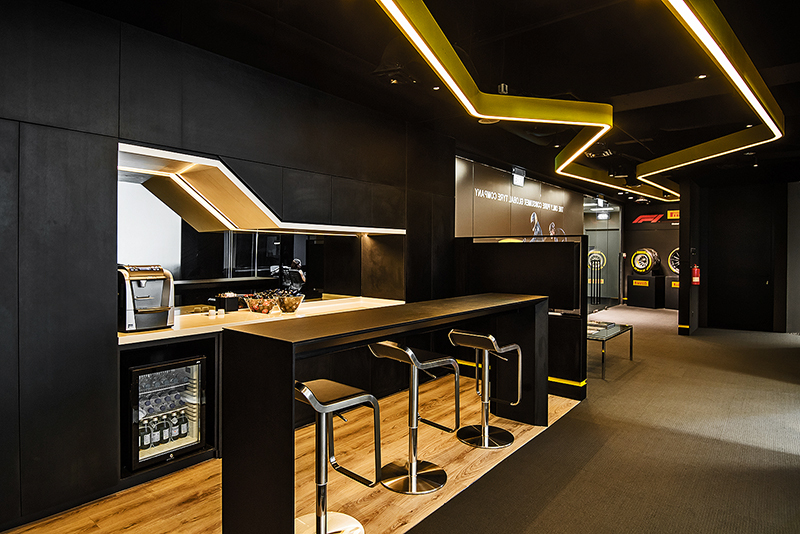 The stylish state-of-the-art office design mirrors Pirelli’s global brand identity as an icon for its cutting-edge technology, high-end production excellence and passion for innovation that draws heavily on its flamboyant yet sleek Italian roots. 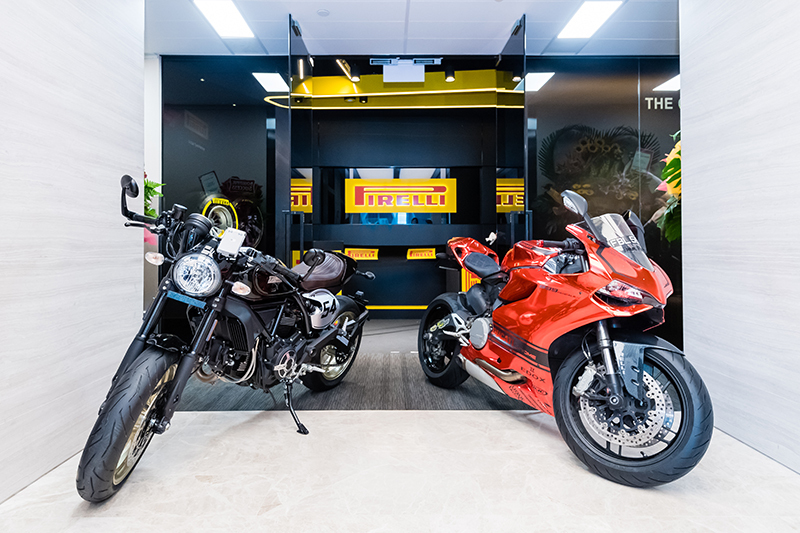 The new office is home to a team of 35 staff who will drive different aspects of the business for Pirelli from passenger cars, including foreign premium and prestige models, as well motorcycles. 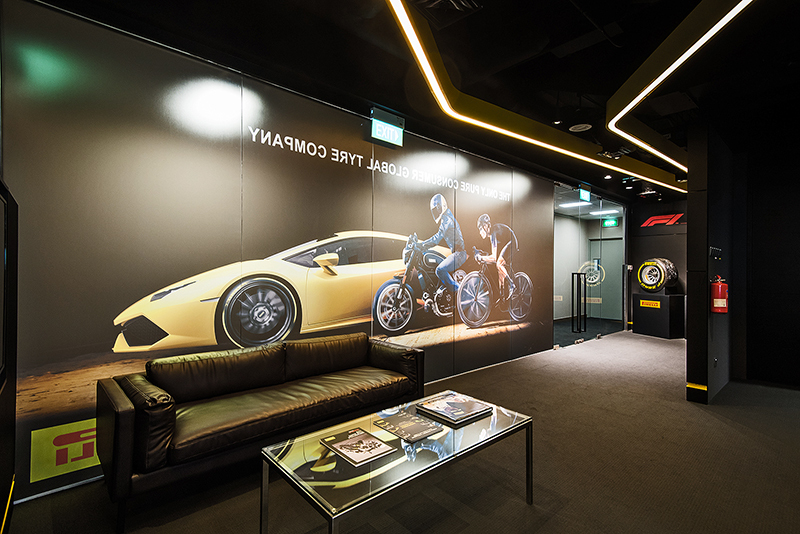 The Singapore office will focus mainly on developing both premium and prestige segments of the performance tyre market in South East Asia. They will look into strengthening their relationships with Trade dealers, distributors, importers and agents to become a pure consumer company as well. 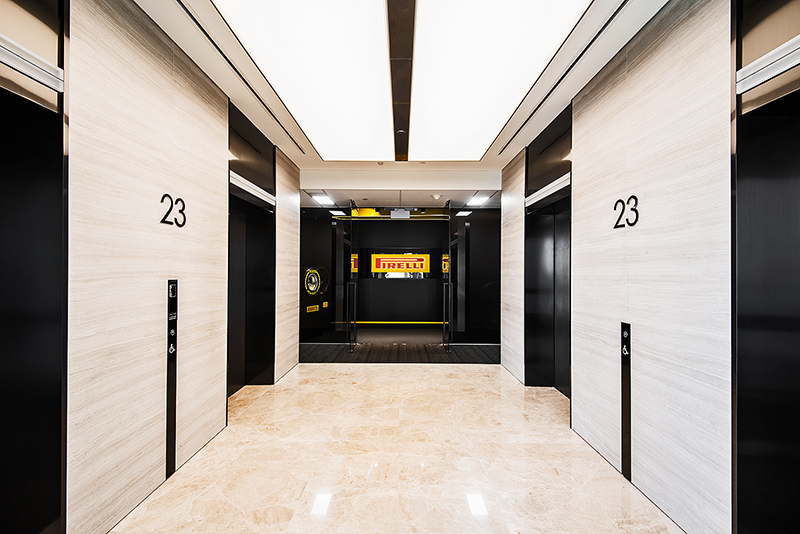 Located on level 23, Pirelli’s new office looks stylish and yet has a design that embodies simplicity with clever spatial space planning. Everywhere corner of the office you look, strong messaging and visual cues remind you of the mission this Italian tyre manufacturer has set out to accomplish. 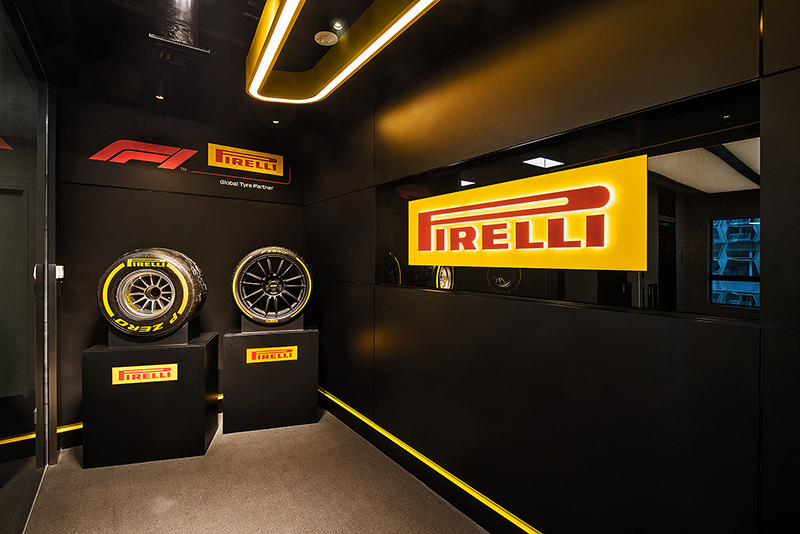 The strong premium branding is unmistakable and evokes a sense of passion and drive that syncs with the Pirelli brand so well. 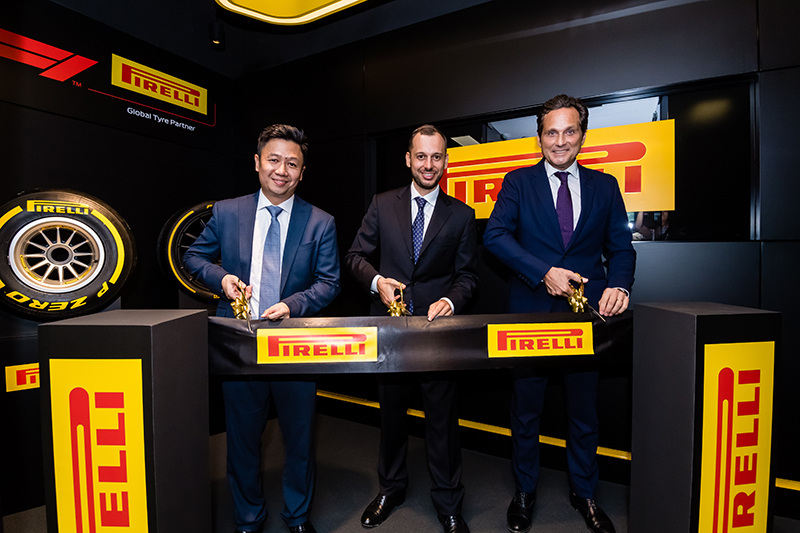 Adrian Thio, Managing Director of Pirelli Asia Pte Ltd, said: “We are delighted to celebrate the official opening of Pirelli’s new office space here at 77 Robinson Road. 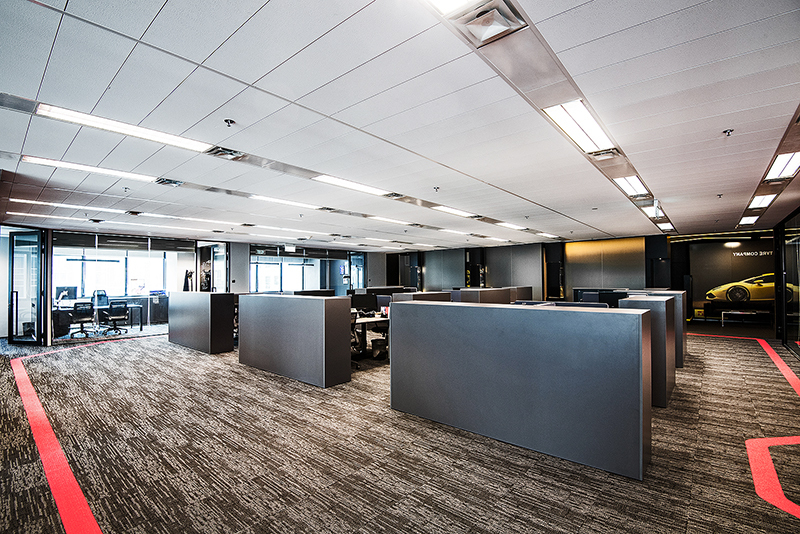 This brand-new office space is designed with interior details that reminds us of Pirelli as a brand that is known as an Italian and global icon of technology and excellence."